Today the grandkids came over for half a day, courtesy of Thanksgiving break and their parent’s work schedules. 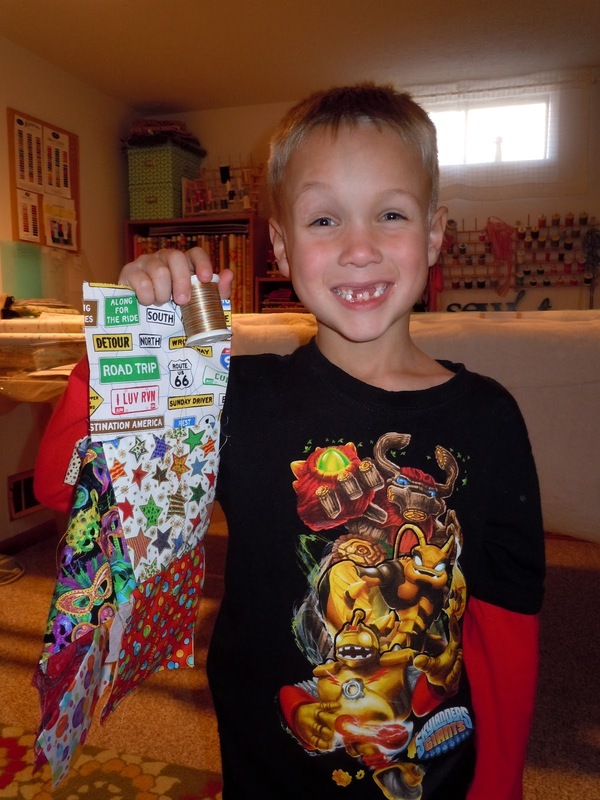 On our agenda for the day: a game of Sorry, some “helping” Grandma with dusting and vacuuming, a trip to Kean’s for candy to stock the candy jar, a pit stop at Krogers for the five items I missed during Sunday’s grocery extravaganza…and sewing. Yes, sewing. 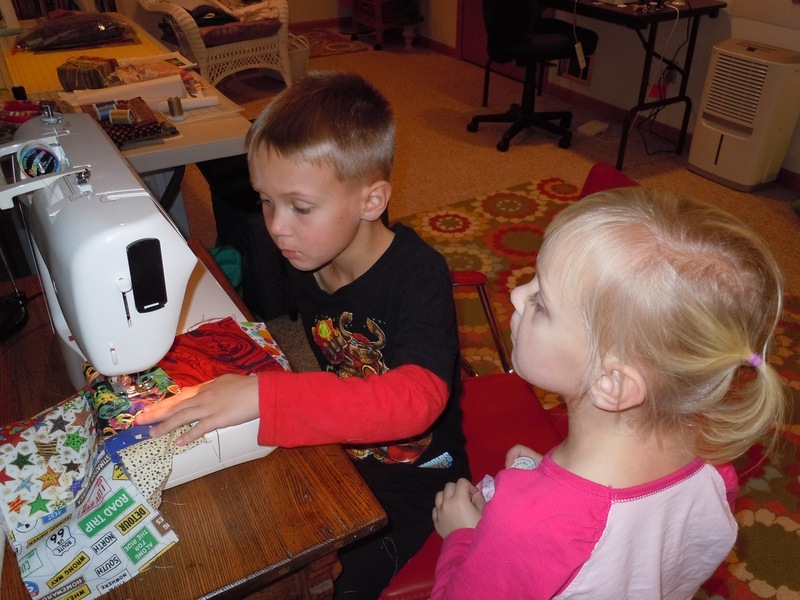 I love that the kids will ask to work in the sewing room. 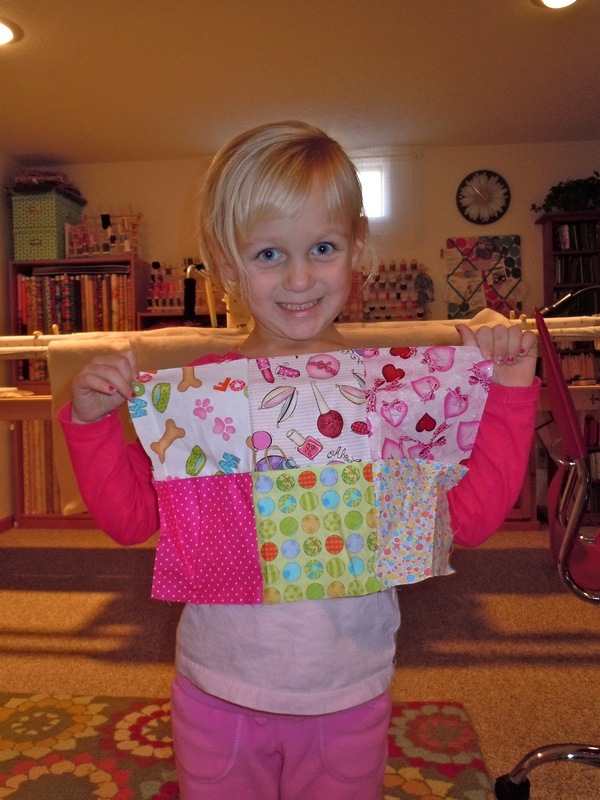 They have little projects of cobbled together scraps and squares. Natalie sits on my lap and we sew together with the fabric and thread she chooses. Chase has progressed to being able to pick stitches, use the presser foot and scissors button, and work the foot pedal himself. Here’s to making memories… Happy Thanksgiving!